Nicolas Zverev was born in Moscow in 1888. He trained there and by 1912 was a member of the Kozlov Ballet. 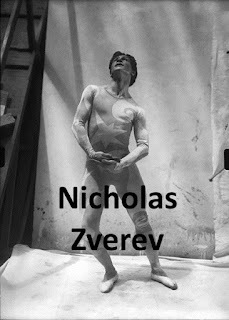 This company toured to London and while Zverev was there he heard that Diaghilev and his Ballet Russes were also there. He auditioned for them and was hired, performing with them until 1926. 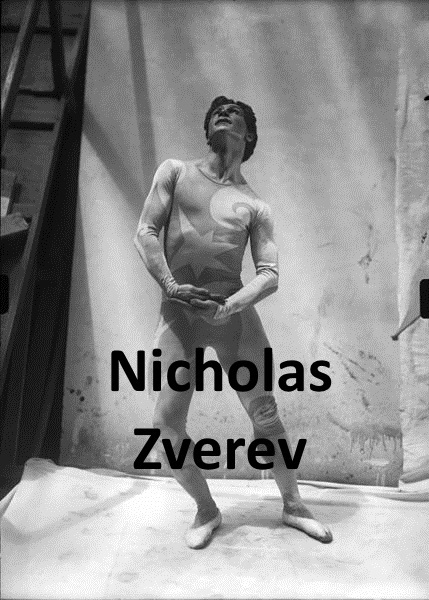 Nicolas Zverev looked very much like Nijinsky, and sometimes doubled for him in Ballet Russe performances. Nijinsky’s name still appeared on the program, and apparently audiences never realized a switch had been made and they were not actually witnessing a performance by Nijinsky. From 1930 to 1936 Zverev was the director of the Ballet of the Opera of Kaunas, but in 1936 he assisted in the reorganization of the Ballet Russe de Monte Carlo. He remained with them as a character dancer and ballet master until 1945. Later he became a professor in several countries: Belgium, Switzerland, and France; and was also ballet master of the Teatro Colon in Buenos Aires from 1957-1960. Nicolas Zverev died in June 1965. Help expand the knowledge base! Leave a comment about any instructions, ideas, or images that worked best for you! I spent the first part of my working life as a professional ballet dancer. Now I teach dance at a performing arts high school. I created this blog to help dance students and teachers, and hopefully entertain them a bit along the way. I would love to feature any guest blogs or photos you would like to contribute. Contact me at balletwebb@gmail.com. For more information, please visit my web site: www.debrawebbrogers.com. ©2013 Debra Webb Rogers. Photographs of Ms. Rogers courtesy of the Florida Ballet. Simple theme. Powered by Blogger.